In nine days, explore the ice-capped summits of the Sierra Nevada to the white sand beaches of the tropical Caribbean coast to discover a range of indigenous and contemporary cultures, as well as astounding biodiversity. 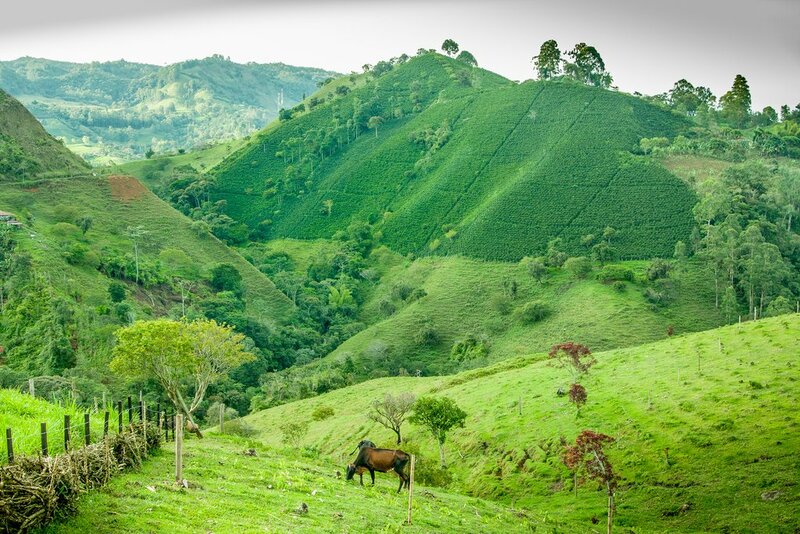 Drive across city centres and take scenic mountain roads through the famous coffee region. Experience Colombia’s warm climate and culture by river and sea on rafting and sailing expeditions. Are you planning a trip to Colombia? “The whole world is falling apart but Colombia is falling together. With three great branches of the Andes fanning out northward to the wide Caribbean coastal plain, the rich valleys of the Cauca and Magdalena, the sweeping grasslands of the eastern llanos and the endless forests of the Chocó and Amazons, Colombia is ecologically and geographically the most diverse nation on earth. A naturalist need only spin the compass to discover plants, insects, and even animals unknown to science. 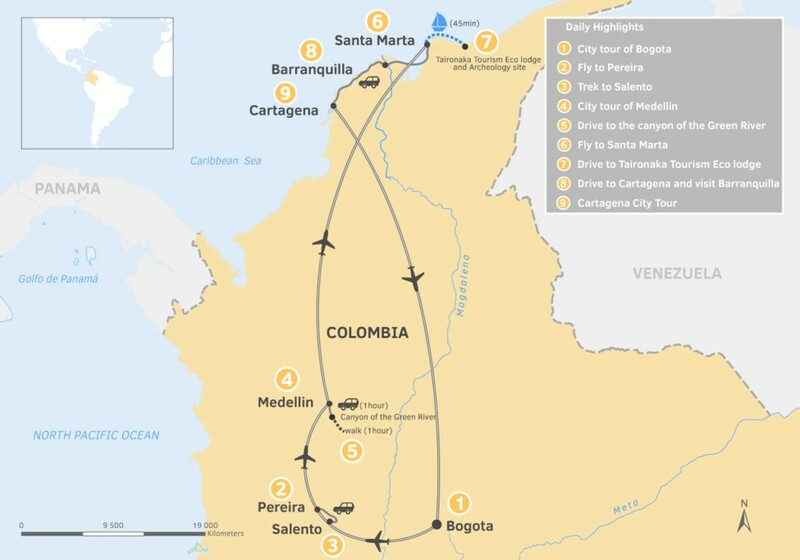 Our suggested 9-day itinerary starts and ends in Bogota. If you’re interested in a shorter or longer trip, it is possible to build a custom trip adding outstanding cultural and adventure travel in Colombia. Fly to Bogota’s El Dorado International Airport. Stay at a beautiful hotel in the historic, downtown neighborhood, “the Candaleria”. Spend the day on a unique custom city tour including visits to the Museo Botero or to Carlos Jacanamijoy’s painting studio. Tour the famous Gold Museum and the Monserrate volcano to enjoy a view of the city at sunset. 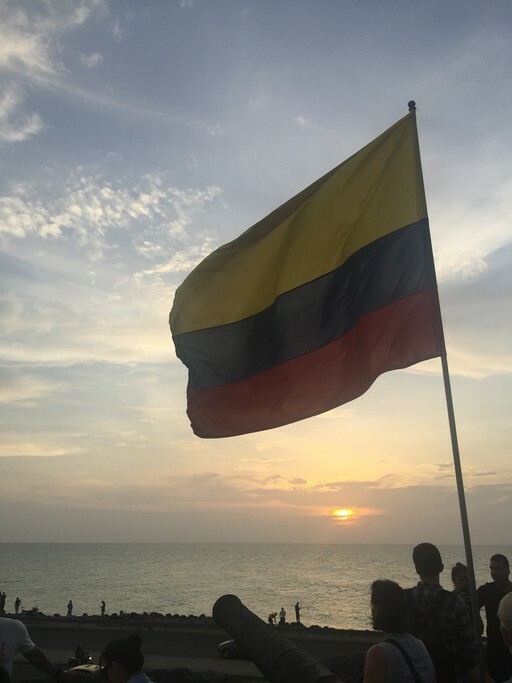 In the evening, experience Colombia’s varied cultural attractions including restaurants, theaters, and music venues. Fly to vibrant Pereira, one of the three cities comprising Colombia’s “coffee triangle”. Roam the lively, European-style streets of the city before driving through mountain roads to one of Colombia’s most famous coffee “fincas”, or estates. For most of the day, learn about the industry’s history and coffee making process as you taste a diverse range of coffee. Stroll through the plantation and take in stunning panoramic views. Stay at a gorgeous Spanish style hacienda and experience authentic Colombian fine dining. Start your morning with a drive trough breathtaking Andean topography, where the “Valle De Cocora” reveals a river flanked by steep mountains. 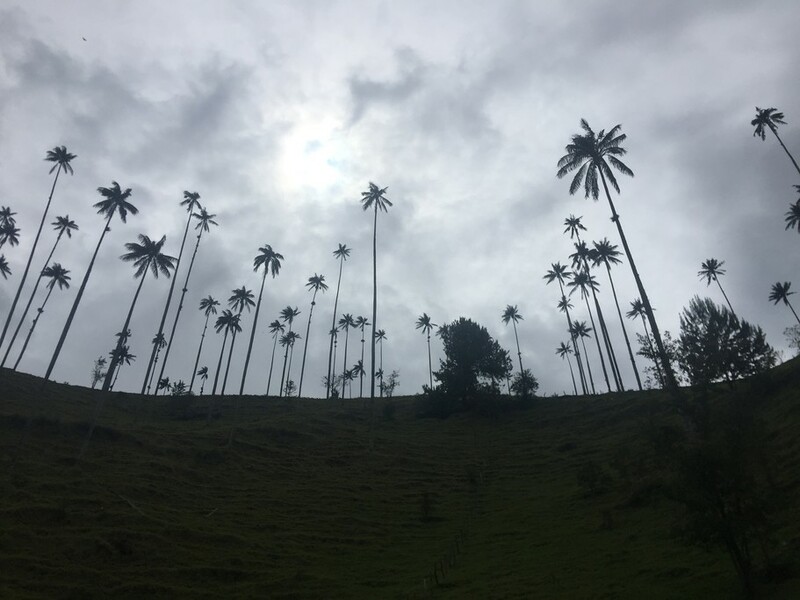 Near the eco-tourism haven of Salento, take an incredible trek to a surreal landscape pegged with the slender, towering Colombian national symbol, the “palma de cerra “ (wax palm). 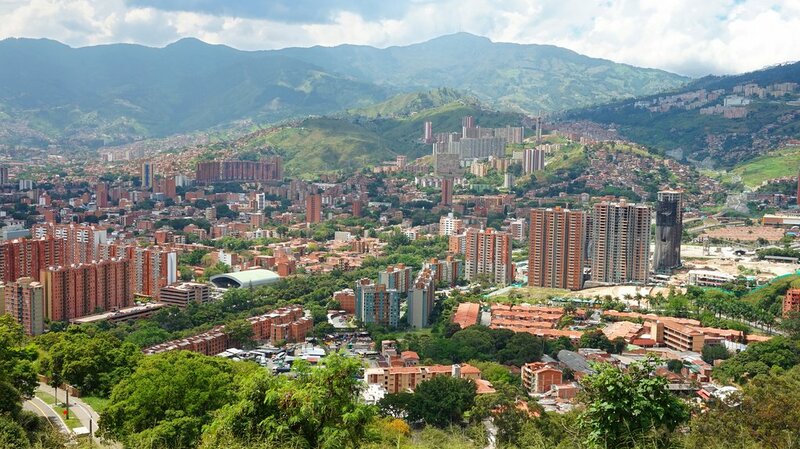 Fly to Medellin and stay at a luxurious hotel in the heart of Medellin’s salsa dancing and musical cultural hub, “Poblado”. Begin the day visiting the illustrious Botanical Gardens and the iconic collection of bronze sculptures at Botero Plaza, the fascinating “Casa de la Memoria” museum, the indigenous site of Nutibara Hill, and the urban renewal project “Pueblito Paisa”. Leave the city driving towards the east to The Pristine Samana Watershed. Stay at a beautiful Spanish hacienda style hotel with a great view over the city and experience Colombia’s fine dining. 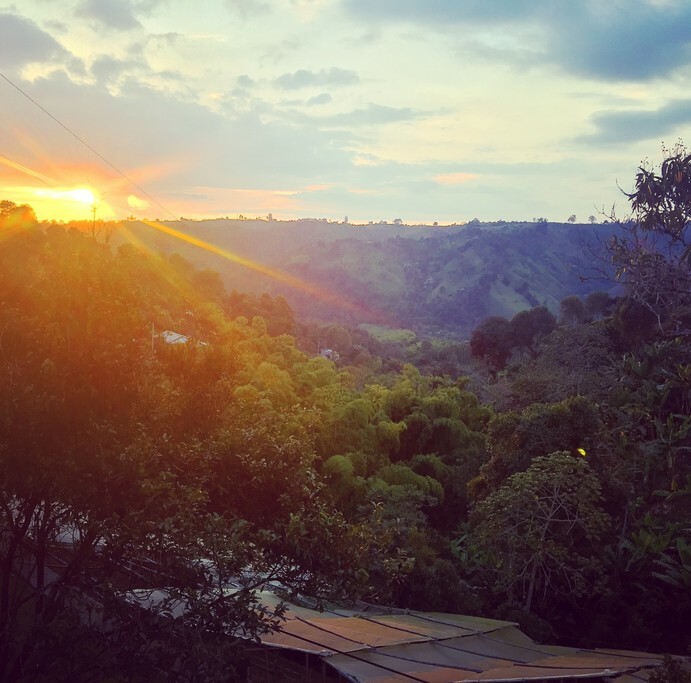 Take a comfortable, modern passenger van and drive one hour to the canyon of the Green River, “Rio Verde”, located in the east side of Medellin near the small town of San Francisco. Access the canyon by hiking for an hour while mules transport your gear. 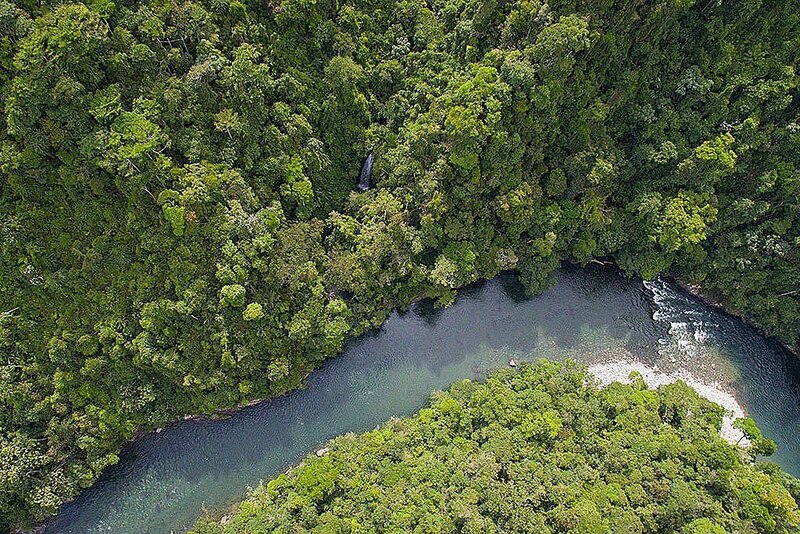 Join a professional team of multi-lingual raft and kayak guides on a self-supported river expedition on a pristine river in a tropical jungle paradise. Enjoy a captivating descent on exhilarating class IV whitewater. The river is named after its clear, translucent verdant water. If it interests you, we can set you up with a fishing guide and equipment in this ideal place to fish. Visit waterfalls, lagoons, and secluded beaches ideal for wildlife and birds. More bird species than any other nation, nearly 2000, Colombia in terms of biodiversity is second only to Brazil in the world. 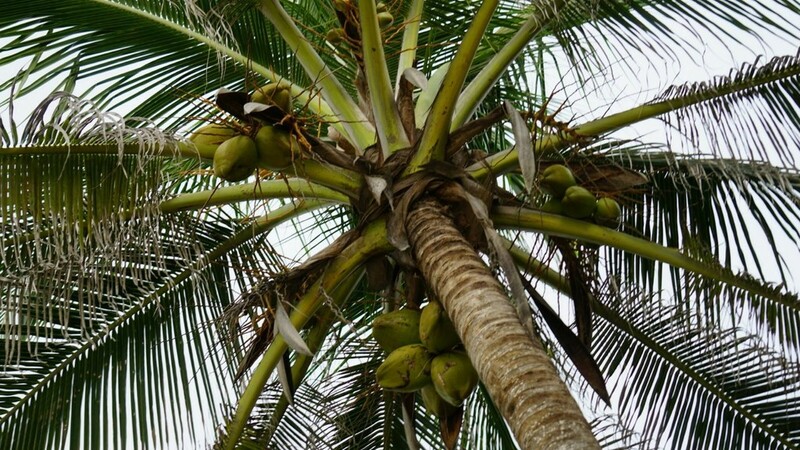 At the end of the second day, spend the night at Eco Hotel, “Tierra de Agua” in Cocorna. 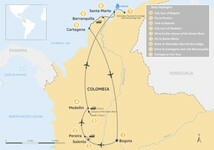 Fly to Santa Marta, a coastal city known as “the Pearl of the Americas”. 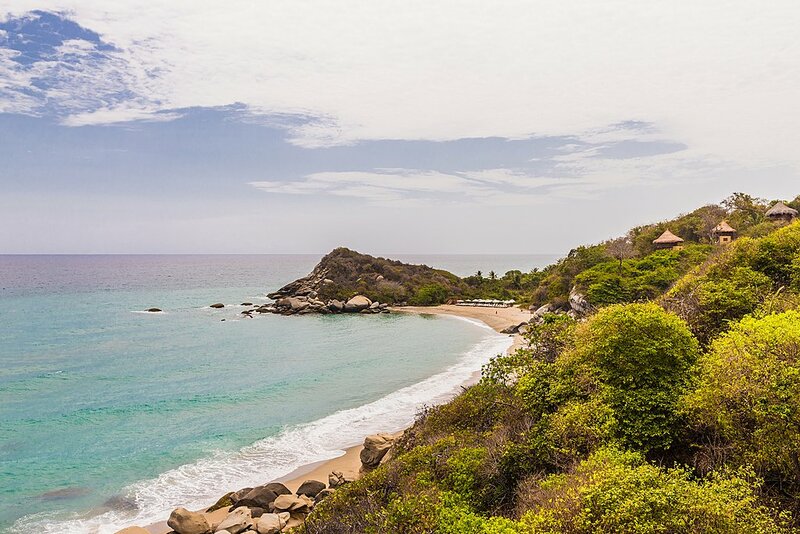 Upon arrival, sail up the coast to Chengue Bay and visit the Parque Tayrona via the sea, a route hardly anyone knows! From your private, chartered sailing boat, take in views of the Caribbean Sea and the snow-capped peaks of the Sierra Nevada. 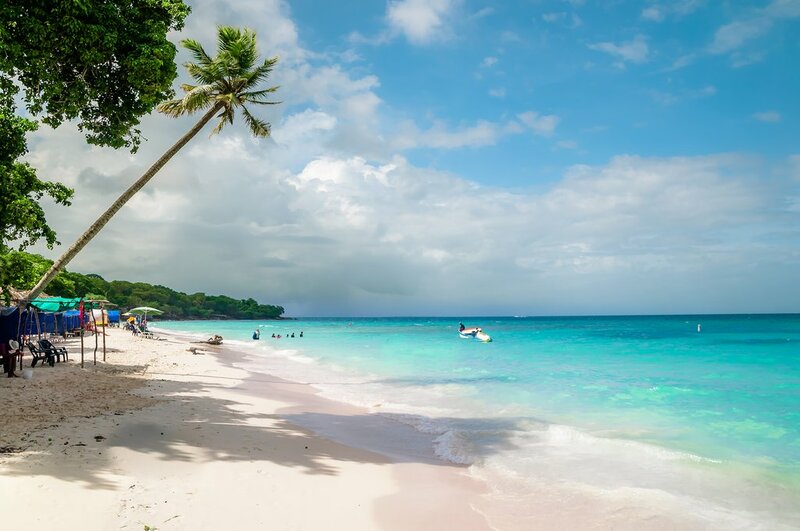 Experience Colombia’s delicious seafood (or other local cuisine) on a white-sand beach with a relaxing ambiance and Afro-Caribbean music. Enjoy a romantic stay aboard the sailboat under the stars or relax at a beautiful, beachside Habana. Explore the Caribbean coast by sea kayaking, snorkeling, or scuba diving from the sailboat. Continue to sail and explore the various bays and secluded beaches along the untouched, protected coastline. End you sailing trip at the Santa Marta marina, a drive to Taironaka Tourism Ecolodge and Archeology site on the Don Diego River (45 min). Enjoy delicious food prepared by chefs at the lodge’s restaurant. After a relaxing breakfast, receive the visit indigenous women weavers from the Arhuaco tribe and the TEJER Association. Discover their ancestral way of art and learn more about indigenous culture of the Sierra. 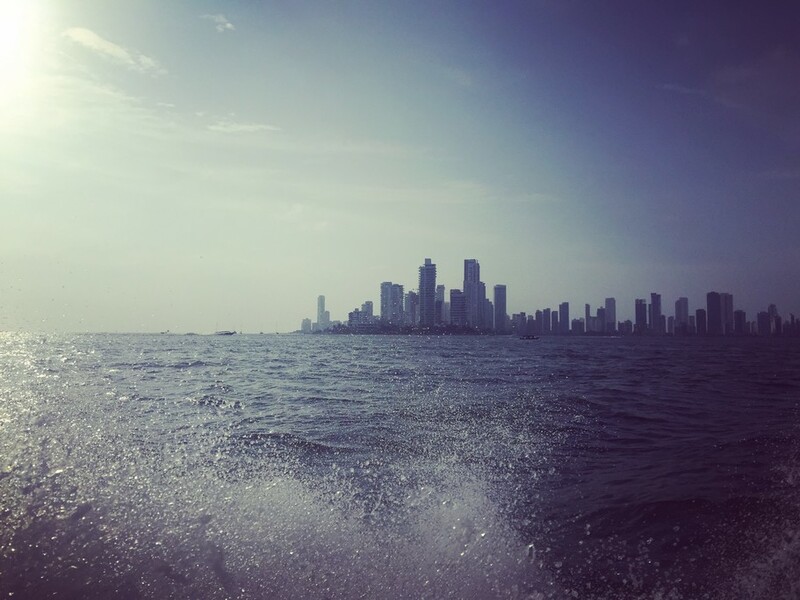 In the afternoon, drive the Caribbean coastline from Santa Marta to Cartagena and visit Barranquilla along the way. Stay in a beautiful hotel in the picturesque, historic city center of Cartagena. Enjoy world-class restaurants, shops, and the city’s famous nightlife. 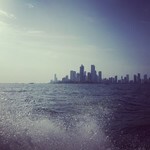 Day 9: Cartagena City Tour, Beach Day, Fly Home. 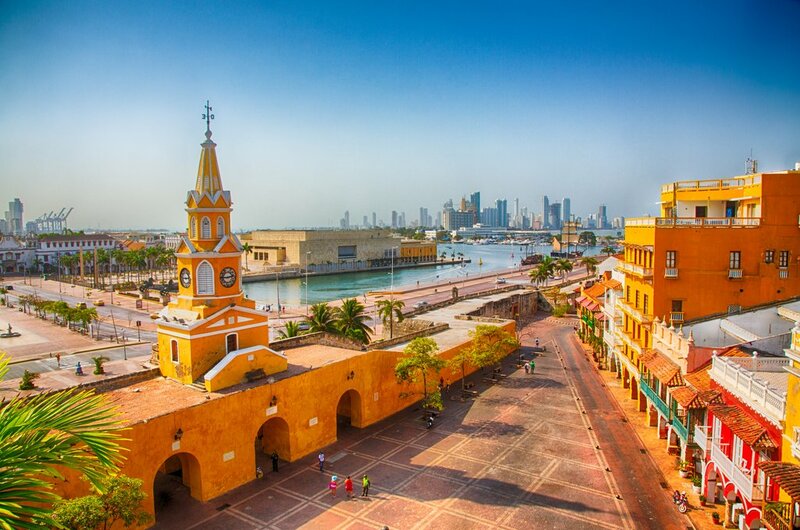 On your final day, depart from historic city center after a brief city tour for a day of relaxation on Cartagena’s most beautiful white sand beach. Return to your hotel before departing to your final destination via Bogota. Your final day itinerary may change based on flight availability. 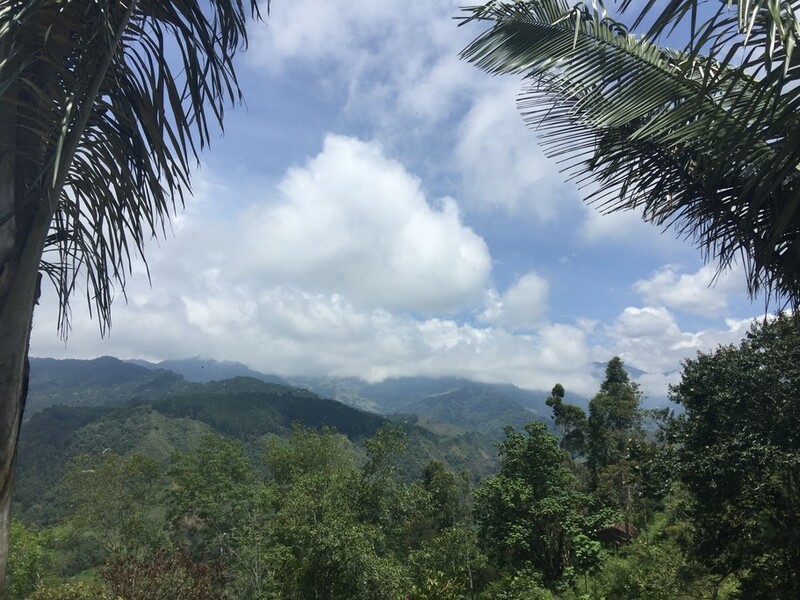 Colombia is a year-round destination, particularly along Medellin and the Caribbean coast, where dry, warm weather is prevalent for nearly the entire year. The dry season in Colombia is from December to March with wetter months in April to June and again in October and November. These weather variations are only noticeable for a traveler in the highlands, where nights become chilly in areas of higher altitude. Your transport and logistics will be taken care of with the highest of standards to ensure you enjoy “smooth sailing”. All tours throughout the trip come with a reliable, personable multi-lingual guide and driver in a safe, comfortable passenger van or 4X4 vehicle. Airport pick-up and drop-off are included as well as any inbound personal transport needs. In the rare instance that your itinerary changes due to weather (on the river or ocean), our guides will adapt and provide you with a different, yet incredible, option. Colombians know how to relax and dine well and so will you by the end of this trip! During your city visits, stay in contemporary and comfortable hotels situated in cultural centers. In the mountainous coffee regions, enjoy Spanish-style haciendas. 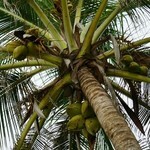 In the tropical jungle, experience hammock camping while on expedition. On the coast, experience luxurious eco-lodges. To guarantee maximum authenticity, you will enjoy gourmet meals sourced from local ingredients. In the cities, enjoy the country’s best selection of traditional and contemporary cuisine in restaurants. On expeditions, enjoy meals prepared by a French chef or a local dishes prepared by Colombian chefs. One of the most memorable highlights of Bogotá was our trip to the market with German. We sampled some spectacular fresh fruit juices and ate delectable Lechones (whole pork stuffed with rice, peas and spices). We enjoyed the views of Bogotá from the vantage point of Monserrate. The food throughout Bogotá was varied and delicious. 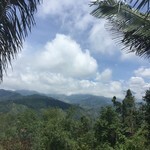 In the Coffee Region, Jorge Sánchez expertly guided us along the trails of Corcoran Valley, Salento and a coffee plantation. The landscapes and cloud forests of Corcoran Valley were world-class. 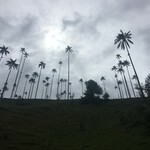 We were fortunate to see the Andean Condor, Colombia's national bird, gliding above the wax palms during our hike. What a treat! 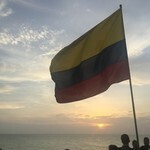 We loved Cartagena and its vibrant culture. Alvaro toured us through the most important sites in the area and provided us with expert commentary and restaurant recommendations. The hotels were all excellent and our guides were knowledgeable of the areas we visited. Kimkim really took the stress out of traveling. We'll definitely use them again! Guides were excellent. Standouts were Manuel in Villa de Leyva, Sharon in Bogota and Leo in Bogota. Hotels were very good choices. Natalia was superb. I initially indicated there would be about 10 people traveling and ultimately there were 17. She did an excellent job of structuring an itinerary (consisting of Santa Marta- Zipaquira- Villa de Leyva-Bogota-Medellin-Guatape-El Penol- Santa Elena) to accommodate my requests. She graciously and quickly accommodated every change as needed. She did a terrific job of planning the trip, choosing the hotels, securing the airline tickets, acquiring all the subcontractors, responding to inquires, and making adjustments as needed 'on the go'. She was totally accessible, even responding to What'sApp texts on Sunday morning during the tour, and immediately interfacing with bus drivers when there was confusion about their location. Her choice of subcontractors for guiding and transportation was excellent. All of the vehicles were new or nearly new, and had ample space for all passengers and luggage. The 6 personable guides were always on time, spoke excellent English, and had a immense grasp of the history, culture, and noteworthy information of the locations we visited. KimKim's pricing was very fair. It's 5% surcharge became somewhat confusing from time to time, and it's payment system for payments from multiple guests was somewhat clunky, but we managed to get it straightened out quickly and completely before the trip even started. In summary, I would gladly recommend KimKim and Natalia to anyone who wanted a great travel planner and booking agent in Colombia. We just returned from our family 8 day vacation to Colombia. Jules, our specialist, helped us plan, organize and get ready for our trip. He was also available during our trip to answer questions along the way. This was so helpful. Once we got to Colombia we had a great driver, Evan and a wonderful guide, Fabian. Fabian was an energetic, personable guide and great with our kids. He took our 10 year old son all over the beach, climbing rocks and exploring the shore. We enjoyed his genuine positive attitude. We also enjoyed our beach time, river float and the sunset cruise! While we really enjoyed our trip overall, I would not book with Kimkim again without there being more transparency on the costs. We spent nearly $6800 with Kimkim for only about 9 days of services including one internal flight for 2 people. Jules did a pretty good job communicating with us but he did say the following about providing us with some tips on packing but he did not provide this detail, even after we followed up with him inquiring about this. He later apologized saying he was on a trek in the Amazon but if he's unable to properly respond to people he should make sure someone else is monitoring his emails to do so. From Jules: "I will get in touch with you 15 days prior to the trip with the last details and a checklist for the things we recomend you bring on the trip (nothing too special, but like this you have a good idea on how to pack ! )." Diana was also very good. We enjoyed the time we spent with her. 4 stars. Qapac was okay. He spent too much time talking about politics and religion. He made assumptions about food that we would like. For example we went to a restaurant after a hike and he ordered us plates of spaghetti without consulting with us. I don't want spaghetti when I'm in South America. 3 stars.